Some babies are born with large poufs of hair, some bald, while some are born naturally looking like they’re having a bad hair day. But baby hair problems are concerns that you shouldn’t be too stressed or worried about. 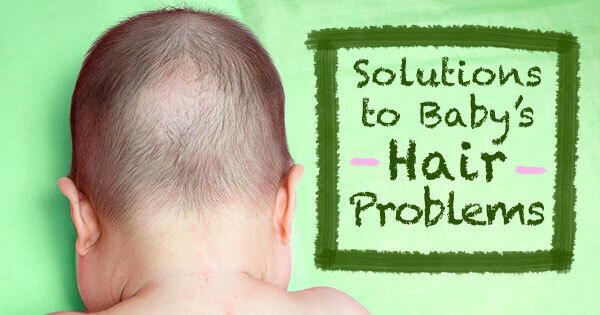 Here are a few suggestions on resolving baby hair problems, as well as some pointers on hair care for your baby. Until your newborn grows out his new hair, here are some tips you might want to consider while caring for baby’s hair. – Be gentle in every way. Use a wide-toothed comb or a soft-bristled brush. You don’t want to accidentally pull your baby’s hair now, do you? – Headbands are cute, but they’re actually damaging to your baby’s hair. If you’re sticking with using them, make sure that they don’t pull your newborn’s hair back too tightly. – Provide distractions for baby during bath time or when you’re washing his hair. Less baby movements mean lesser chances of accidental painful tugs and pulls. – Baby’s first trim? Whenever you’re ready! No need to rush. Just make sure that baby is well-rested, fed, distracted and not cranky. The top priority for baby is to keep him clean. Products with chemicals that may be harsh on the skin should never be a consideration, plus there’s less need for other benefits that’s more suited for mature skin anyway. Remember to keep your items and baby products simple. Moringa-O²’s hair and skin care system looks after you and your baby’s needs with a kind of care that harnesses the natural benefits of Malunggay, Olive Oil, and Omega or Sunflower Oil.